We warmly welcome colleges, universities, corporate guests and other group bookings. 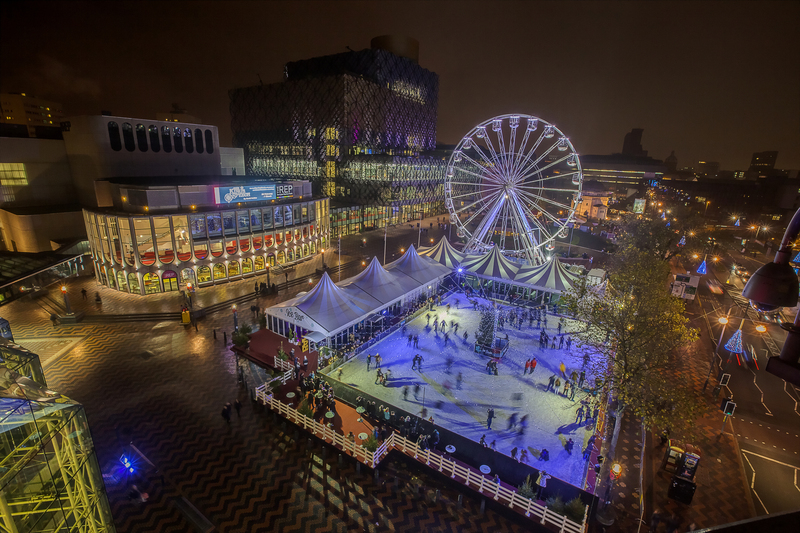 Have fun on the Ice and enjoy the views of Birmingham’s skyline from the amazing big wheel. Our discounted Ice Skating and Big Wheel deals are available to any group wishing to book in advance. We open on the 17th of November 2018 until the 6th of January 2019, operating 7 days a week from 10:00am – 10:00pm. All funds for group bookings must be pre-paid and payment must have cleared in advance. We strongly suggest you book asap to avoid disappointment. We are offering advanced bookings for up to 300 for £7.00 per person. If Penguins are required, you can hire them at £3 each from the box office at the rink. This does not include the Big Wheel. To make group bookings, head over to the Group Booking page Via the ‘Book Now’ button!